Some sprayable sunscreens containing nanoscale titanium dioxide may not be safe, a European Commission science committee has concluded. The Opinion from the Scientific Committee on Consumer Safety (SCCS) is restricted to sprayable personal care products containing titanium dioxide as a UV filter at a concentration up to 5.5%. The committee says the information provided by industry was insufficient to allow safety assessment. 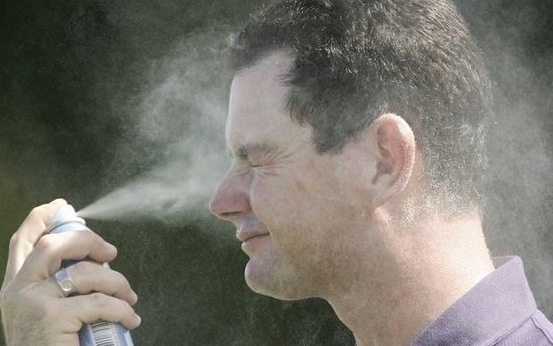 In particular, the industry dossier did not include any exposure data for non-water based formations, which represent 20% of the EU sprayable sunscreens market. It also did not provide adequate toxicological evaluation relevant to inhalation. The SCCS says that, according to the information provided, there are already sprayable products on the market containing nanoscale titanium dioxide. "Such uses need to be carefully evaluated so that the chance of harmful effects through consumer's lung exposure by inhalation is avoided," it adds. The Opinion does not say who supplied the dossier. A corresponding 'request for a SCCS request' says that Dutch company DSM Nutritional Products submitted a dossier to support the use of titanium dioxide as a UV filter in sprayable personal care products. The SCCS has published previous Opinions on the use of titanium dioxide as a UV filter in sunscreens. In July 2013, it said such use was safe, up to a concentration of 25% and excluding sprayable products. In 2015, the Commission received new information from industry to support the safe use of the substance in sprayable products, up to a concentration of 5.5 %. Since then, the potential carcinogenicity of titanium dioxide via inhalation has been under intense scrutiny within the EU. Last year, Echa's Risk Assessment Committee (Rac) decided that the substance should be classified as category 2 carcinogenic by inhalation under EU CLP. The use in cosmetics of substances classified as such is prohibited under Article 15 of the cosmetics Regulation. But industry association Cosmetics Europe has said it will seek an exemption if titanium dioxide is classified as carcinogenic.